Something for the Under Finger. Ugly and sore fingers will vanish. Helps hold and get first small stitch. 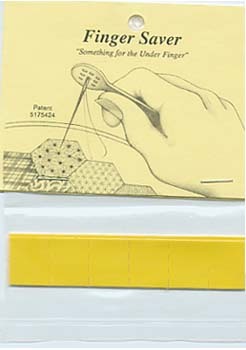 Forget you have it on your finger and quilt in the regular manner. As soon as you feel the needle touch, push up Hard with the under finger.